You know that you want to choose a model from the list of used vehicles that are being sold in your area but you’re not sure which model it should be. In order to have the vehicle that’s going to give you the drive you’re looking for and the right price for you it’s important that you visit a dealership with a large selection and the reputation you know that you can trust. 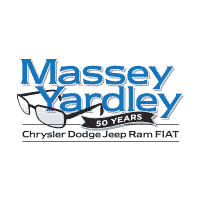 Come in and see the team at Massey Yardley Jeep Chrysler Dodge Ram in Plantation, FL and choose the right model with the auto financing you’re looking for so that you can have the drive you want on the roads in Plantation. 2016 Jeep Compass FWD 4dr Sport – This small and active compact SUV offers you the qualities you’re looking for with low miles on the odometer and a smooth ride on the road. The affordable price of this SUV will be the right for you when you secure the auto financing you’re looking for to make this the right vehicle for you to drive in Plantation. 2015 Chrysler 200 4dr Sdn C FWD – Make this the right choice for you and it will be the car you want to drive for several years. Secure the auto financing you need and enjoy the leather upholstery, alloy wheels, remote engine start and backup camera that are included in this used Chrysler 200 that you’re going to want to drive on a daily basis in Plantation. 2014 Jeep Compass FWD 4dr Latitude – This amazing vehicle only has 33,000 miles on the odometer and is a vehicle you’re going to want to drive wherever you go. Take a look at the auto financing offered and head out for a test drive to make this the vehicle you’re going to have on the roads in Plantation with the qualities you want and the versatility you need. 2015 Chevrolet Malibu 4dr Sdn LTZ w/1LZ – If you want a used vehicle that’s at the top of the trim line you’re going to want to take this incredible sedan with you out on the roads after you secure the auto financing offered by this dealership in Plantation. Check out the comfort of the heated seats and the connectivity of the Bluetooth system included in this impressive used Malibu sedan. 2016 Jeep Compass FWD 4dr Sport – Pick out this impressive blue Jeep SUV and let it be the right choice when you’re ready to secure the auto financing you need that will put you behind the wheel of the car that gives you the driving experience you’re looking for. Come in and see the team at Massey Yardley Jeep Chrysler Dodge Ram in Plantation, FL and take this gorgeous vehicle out for a test drive today.